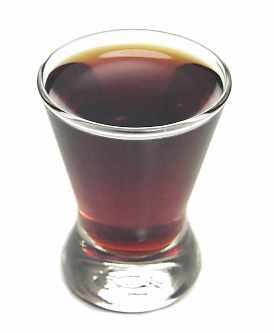 Today, August 16th is National Rum Day. Now, I’m not exactly sure why it’s National Rum Day. As a matter of fact, after extensive research I can’t find anyone claiming this holiday, how it got started or why it exists. But who cares? It’s a great excuse to imbibe our favorite Tiki Cocktails made with the spirits of the Caribbean! 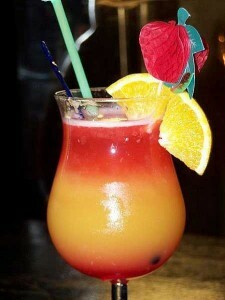 Here’s the link to Tiki Lounge Talk’s Exotic Cocktails page, most of which are made with rum. And here’s a link to International Exotic Cocktail Day, which is coming up fast! Aloha & Mahalos from the Tiki Bar! 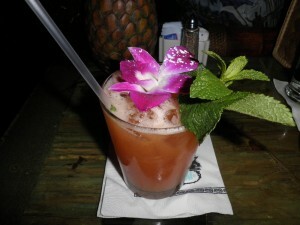 BTW: There’s a lot of rum getting slurped down in Murder on Tiki Island! 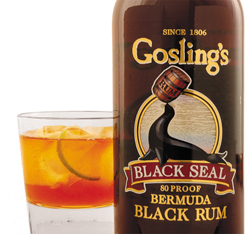 Trademarked by Gosling’s in Bermuda, the Dark & Stormy uses Gosling’s Black Seal dark rum and ginger beer. It was invented just after WWI, and was a favorite among American sailors who picked it up in the Caribbean. A strong and simple to make tropical drink, it is certainly at home on any Tiki bar. 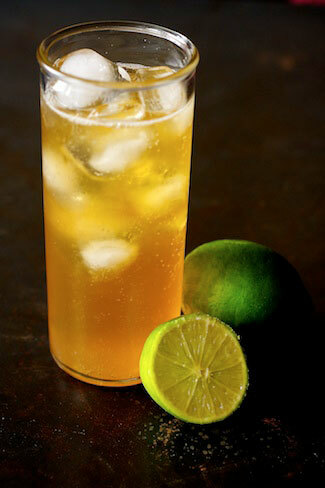 Pour the dark rum over ice in a highball glass or Tiki mug, then add the ginger beer. Stir lightly with a glass rod and add the lime wedge for garnish. Don’t squeeze the whole lime wedge in…taste it first, and add a little at a time until it’s the way you dig it. Just before you mix your Dark and Stormy, get out your Kindle (or iPhone, iPad, Mac, PC) and go to A Flash of Noir at the Kindle store. 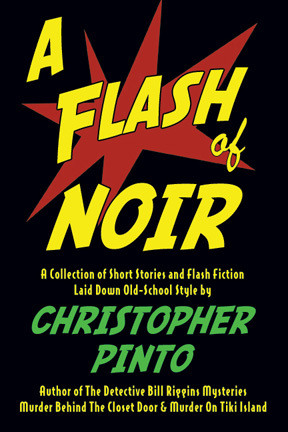 There you can download my latest book, A Flash of Noir for only 99¢! 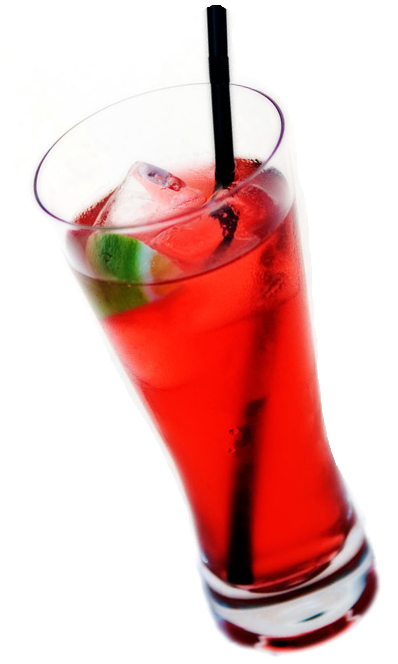 By the time you finish mixing the drink, the download will be complete and you can begin to read while you sip. …for 30+ short, short stories, flash fiction, beatnik poetry and kool photos, all authored by yours truly, Tiki Chris Pinto (or as I’m known on my author page, Christopher Pinto). 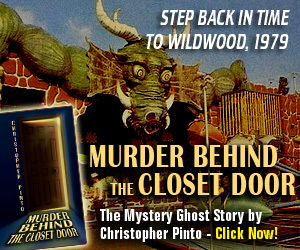 It’s jam-packed with kool 60-second reads full of gumshoe detectives, sultry dames, ghosts, murderers, and monsters. There’s even a story made entirely of song titles…see if you can find them all! 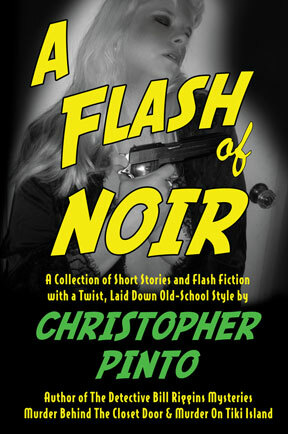 A Flash of Noir - Print version coming soon. Cover model is Colleen Pinto. I just realized…it’s beginning to thunder and lightning here at the Tiki Bar. Perfect for a Dark & Stormy! – Tiki Chris reporting from the library at Tiki Lounge Talk, the Blounge for swingin’ retro kats and hip chicks. It’s been a rough week, kids…no doubt you saw there was no Mod Movie Monday this week. Been crazy-bizy with work (good), writing (better), and of course, drinking exotic cocktails (best). 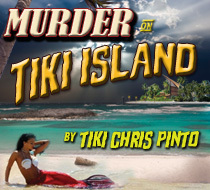 I’m racing to get Murder on Tiki Island finished for the April 30th debut, and it’s taking a lot out of me. So I took the day off from work, have been doing some writing, and will begin drinking those exotic cocktails any minute! And shake, baby, shake! 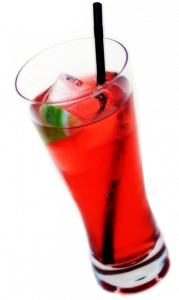 Strain into a tall glass filled with ice, drizzle with grenadine and garnish with orange slices, a pineapple wedge and a cherry. Preferably on one of those little plastic swords. You ever see the drink swords at the Mai Kai? They’re HUGE! I think they must have them special-made, cuz I ain’t seem em anyplace else that big. 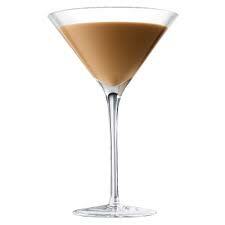 Anyway, there’s you drink…cheers! 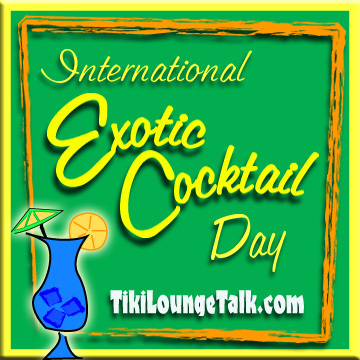 -Tiki Chris P reporting from behind the bar at Tiki Lounge Talk, the Blounge for Tiki and Retro Lovers around the world. Come and visit me and my lovely wife Colleen at The Hukilau 2011, here in fabulous Fort Lauderdale, June 9-12!